German-owned British luxury carmaker, Bentley, is set to test a new service that lets customers summon one of its limousines, SUVs or GTs to their door simply by tapping and swiping their smartphone. Set to launch this summer as a pilot scheme in Los Angeles, New York and Dallas, Bentley On Demand will be exclusive to existing Bentley owners who use the company’s Network App. The idea is simple, no car, no matter how expensive is perfect for every occasion. Convertibles are amazing in the summer but pointless in the winter and as great as the Continental GT is for hitting the road on an adventure or taking a mini break, if the road trip is longer and the whole family is coming, they’re going to feel much more comfortable in the company’s new Bentayga SUV. The new service will be the second app-based concierge service that Bentley has tested in the US. In October, it launched a concierge refueling app in partnership with tech start-up Filld that brings the fuel truck to the car at the time that’s most appropriate – as long as the owner and the car are based in California. With Bentley on Demand, owners can select the Bentley model that suits their needs, via the app, and then the car is delivered to the location of their choice, by a concierge who will also familiarise the driver with any features unique to the model. As such, the new service is very similar to Book by Cadillac, which launched in January in New York. Like Bentley on Demand, it uses an app that allows drivers to select the exact Cadillac model to meet their particular needs at a particular moment in time. However, what sets ‘Book’ apart is that instead of having to own a Cadillac already, users instead pay a US$1,500 (RM6,420) monthly subscription. 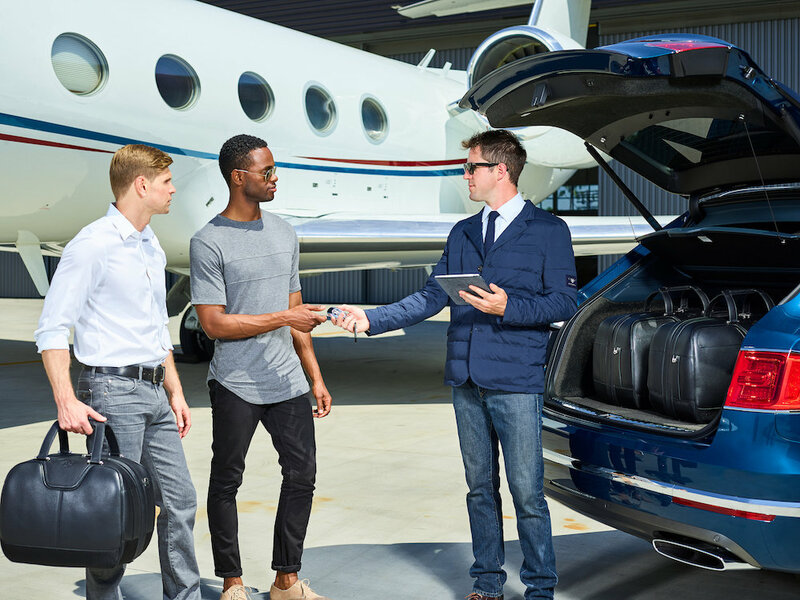 The new service also comes just two weeks after US luxury marque Lincoln rolled out its Chauffeur on Demand service to San Diego. Rather than offering users a Lincoln to loan, it enables existing Lincoln drivers to summon a chauffeur who can drive you to appointments and use your car to run errands.